Check AutoCount Product ID and Package - MyOne Technologies Sdn. Bhd. 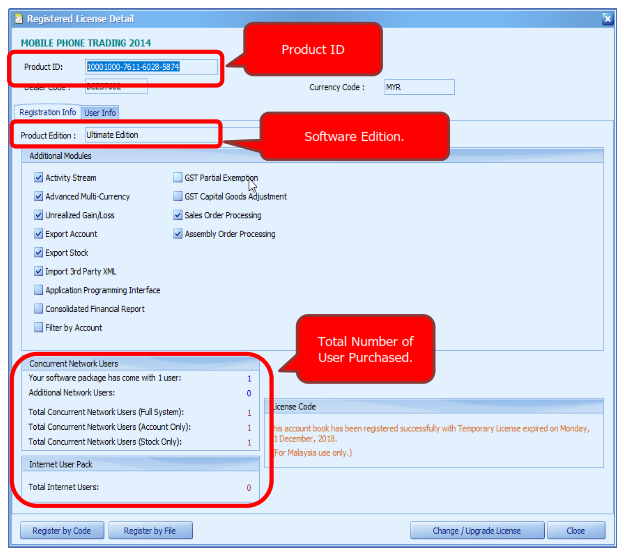 This guide demonstrates the steps how to check your Product ID and Package. 3. 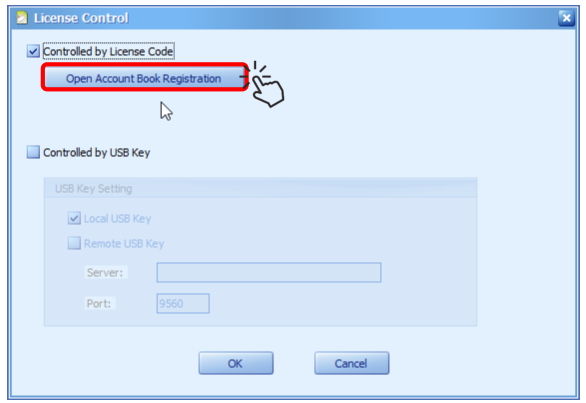 Click on “Open Account Book Registration”. The info needed will be showed. 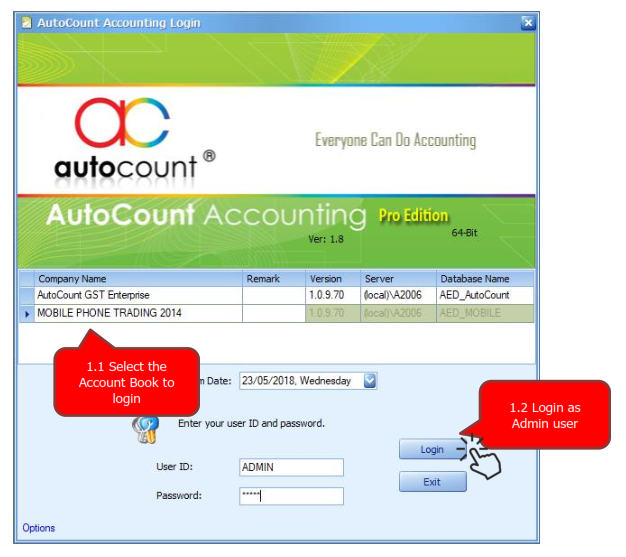 HI, my company is using AutoCount Express Accounting 1.8 with the one server license ID. 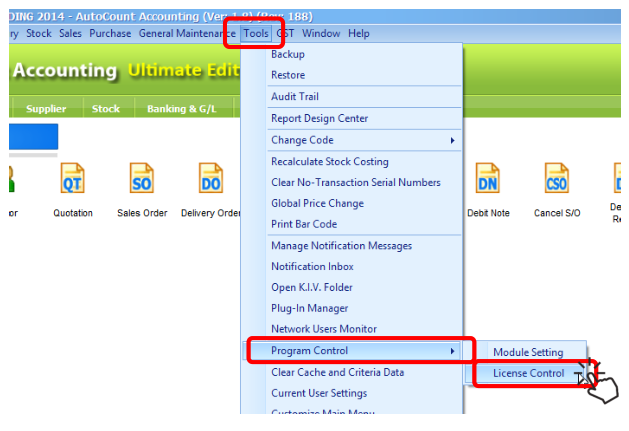 The version I am using is AutoCount Accounting 1.8 with USB Key licence (unlimited companies). Kindly would like to know the upgrade price to version 1.9. And also, I have installed the program into my new laptop with WIN10 Pro. But somehow it cannot detach the USB key to activate the licence. Is this version compatible to run in WIN10 Pro or any other advice? Kindly refer to your email for the one-time upgrade price. The version 1.9 is compatible with Windows 10 Pro and USB dongle, thanks.